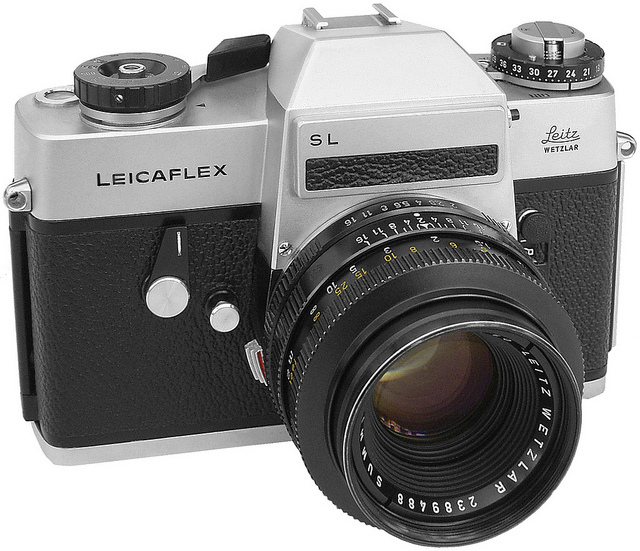 The recent introduction of a modern Leica CL has focused attention on the original CL from the 1970s. 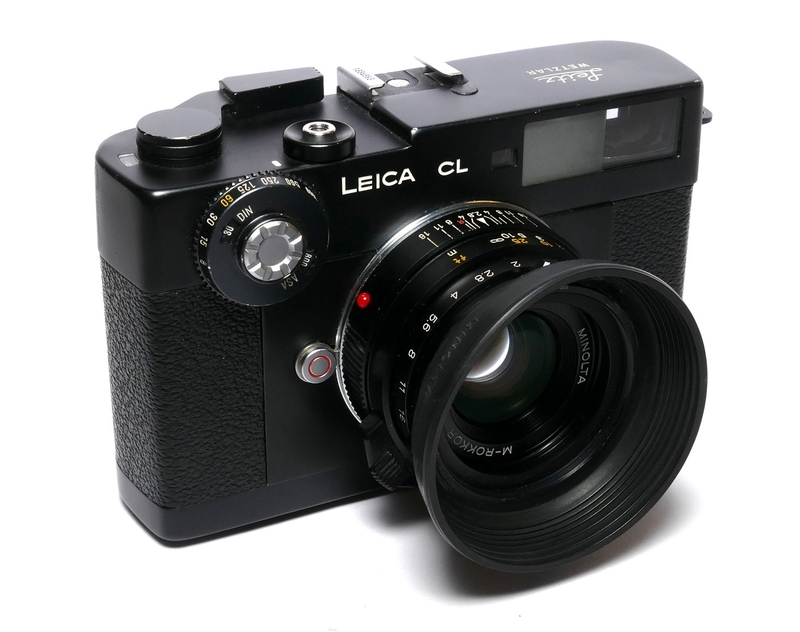 ‘CL’ stood for ‘compact Leica’, a compact rangefinder camera, which was manufactured in Japan by Minolta for Leica between 1973 and 1976. 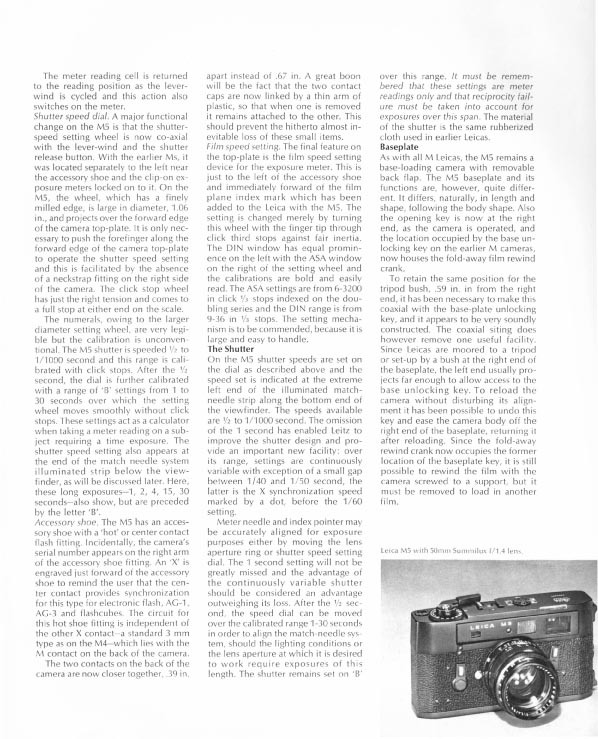 Minolta also sold a version of the camera called the Leitz Minolta CL and later Minolta developed a more advanced version called the Minolta CLE. 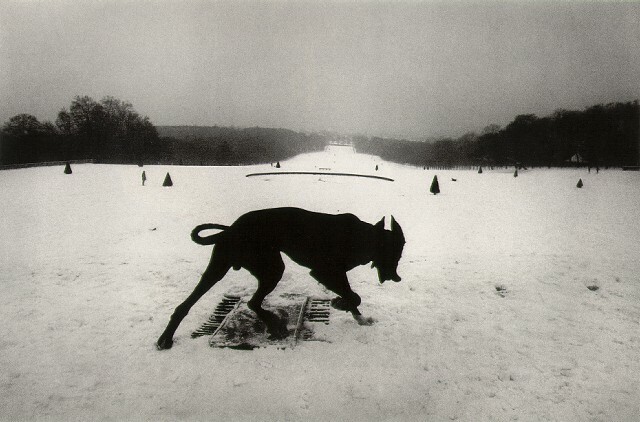 Whatever happened to the Leica CL? Many consider it was too good for its boots. 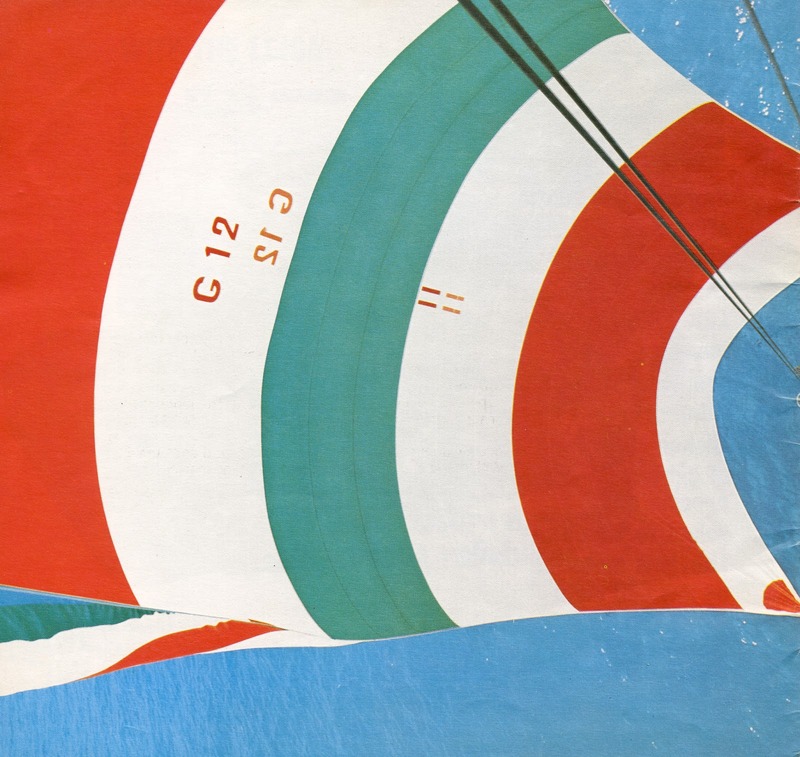 It arrived at a time of great flux in Wetzlar, when the company was undergoing yet another identity crisis. 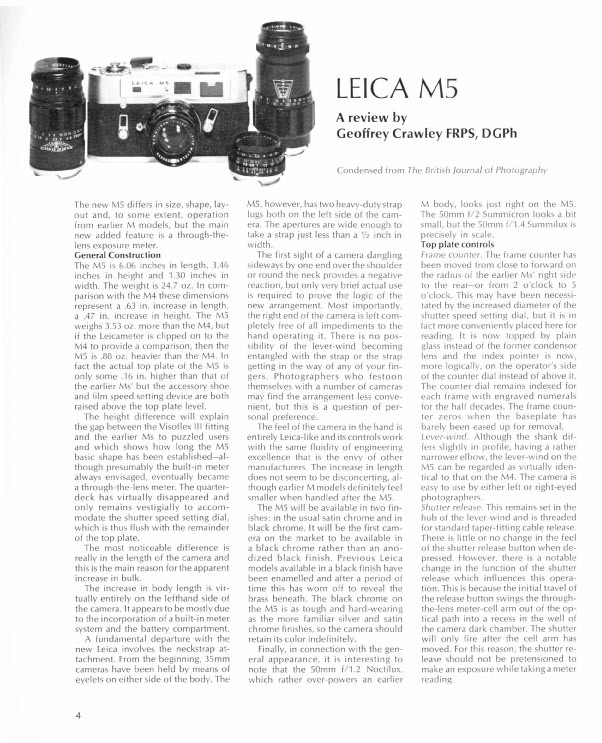 The popular and successful M4 had been superseded by the advanced — very underrated but ultimately too ‘unconventional’ for mainstream success — Leica M5. 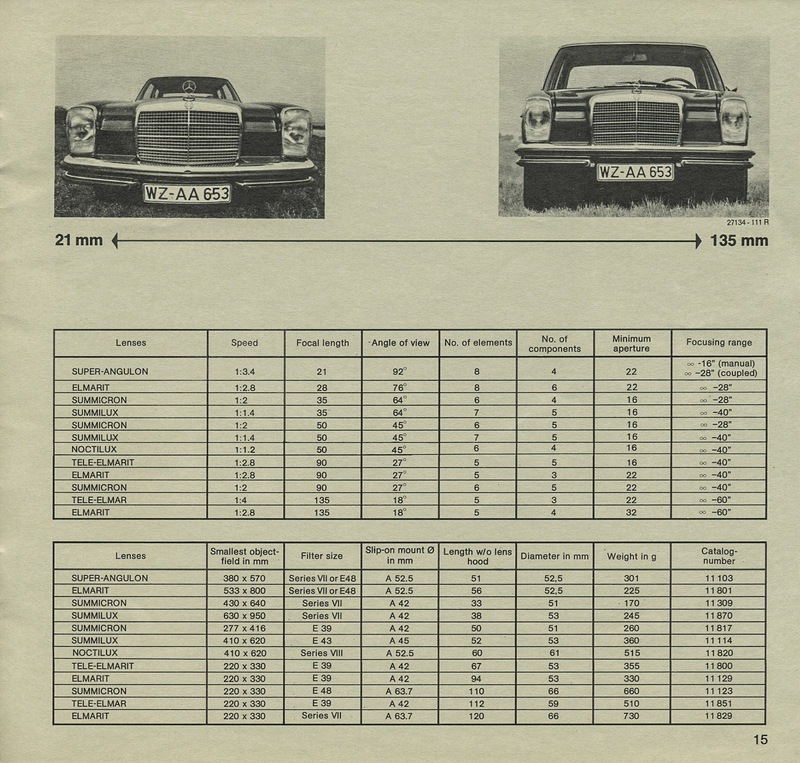 The M5 model was produced in small numbers between 1971 and 1975. 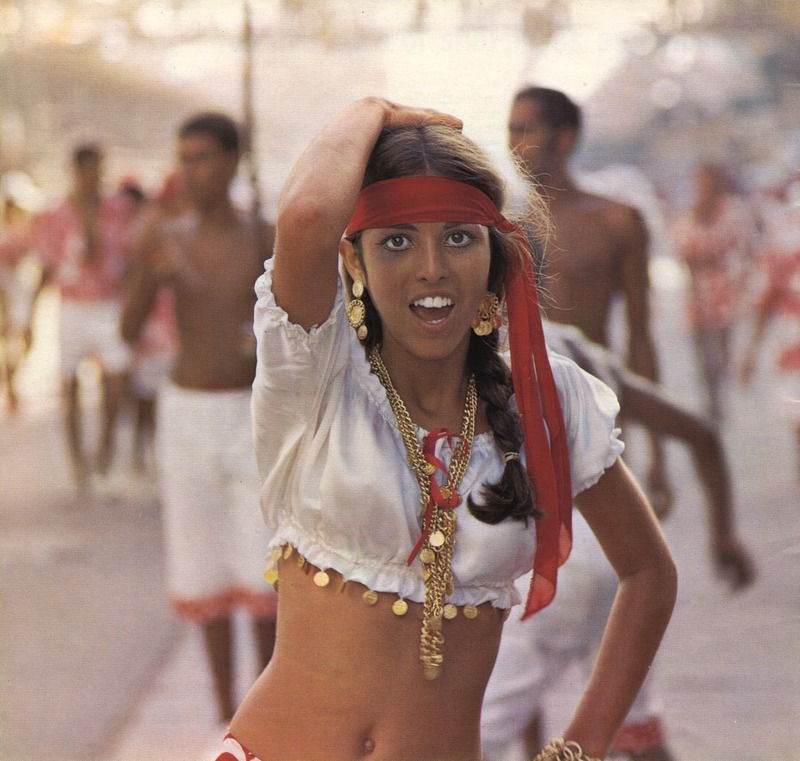 Despite its advanced features, including light metering, it wasn’t well received, not least because of its large size. 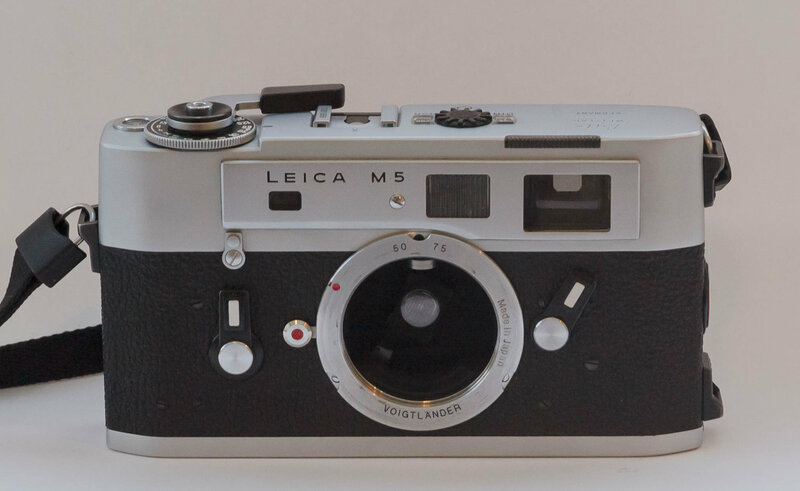 In desperation, Leica brought the M4 back from the dead, shortly before the company’s Canadian phase when the unmetered Leica M4 re-appeared in two new guises, the M4-2 and the M4-P. 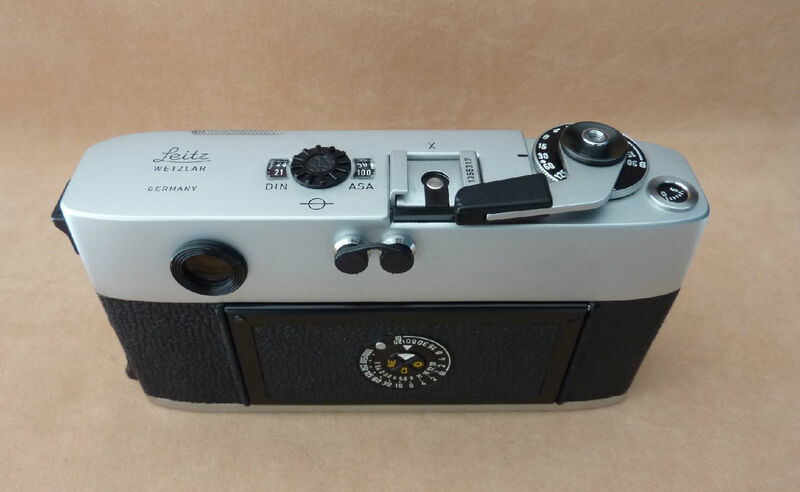 But in the background at this time was the Leica CL, a smaller camera which was designed in cooperation with Minolta and intended to be a more compact rangefinder alternative to the M5, but sharing some similar features such as metering. 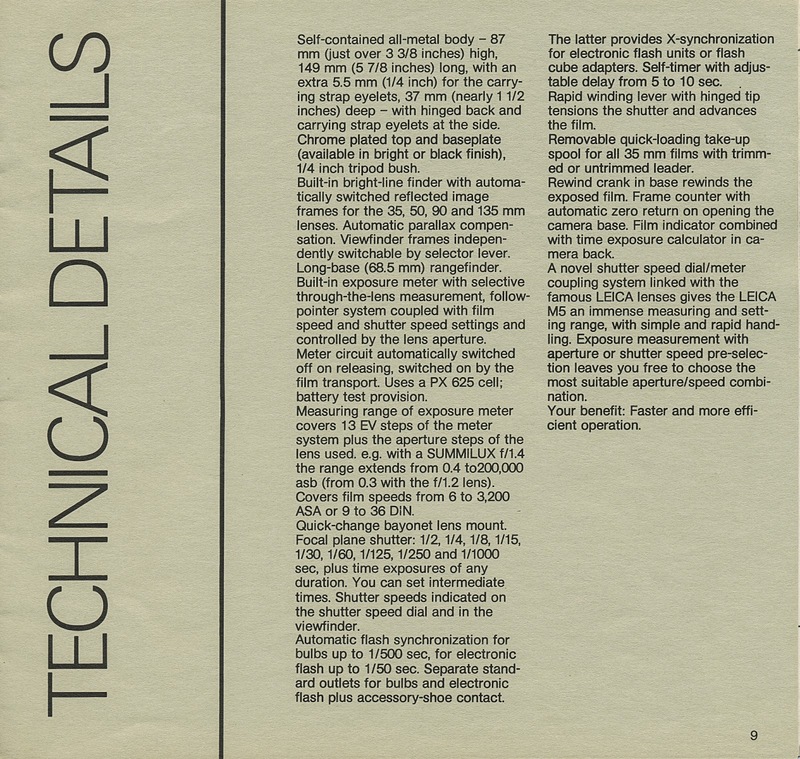 After its launch in 1973 it succeeded in that goal. Too well, unfortunately. 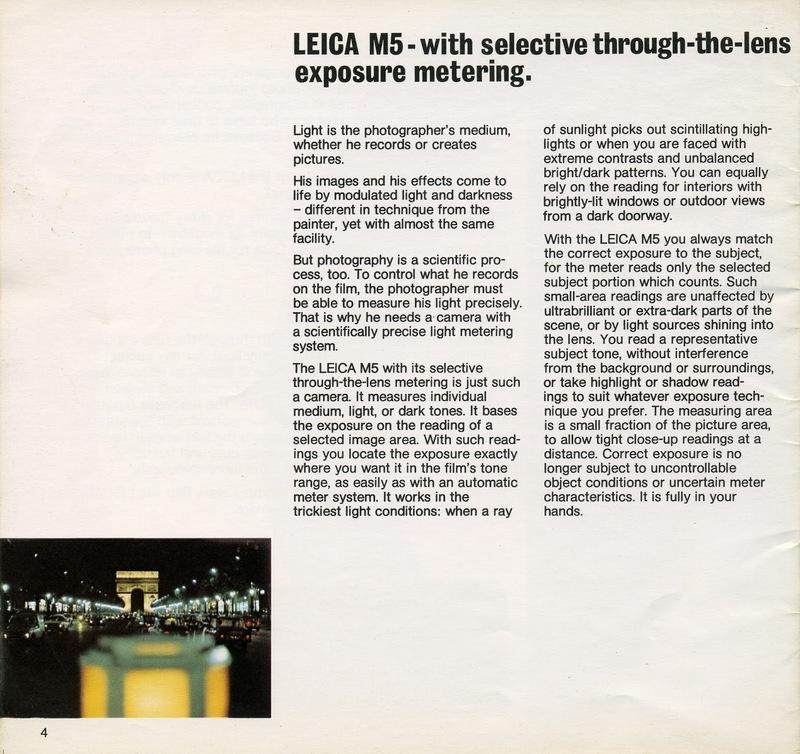 Many adopted it because they wanted the light metering ability of the M5 but in a smaller package. 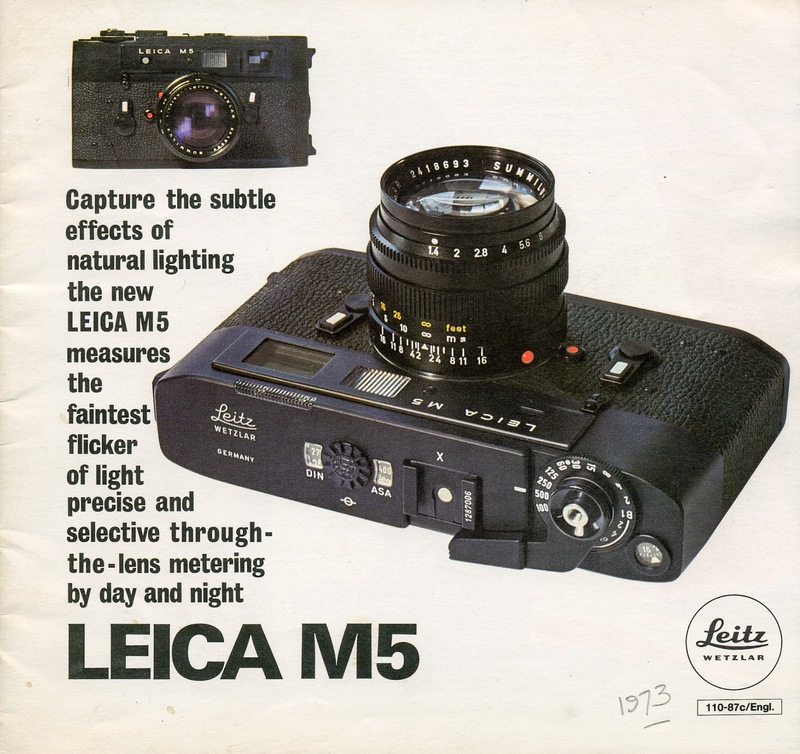 The CL outsold the M5 (65,000 v 33900 according to the production numbers) and many believe that this is the reason Leica halted manufacture in 1976. 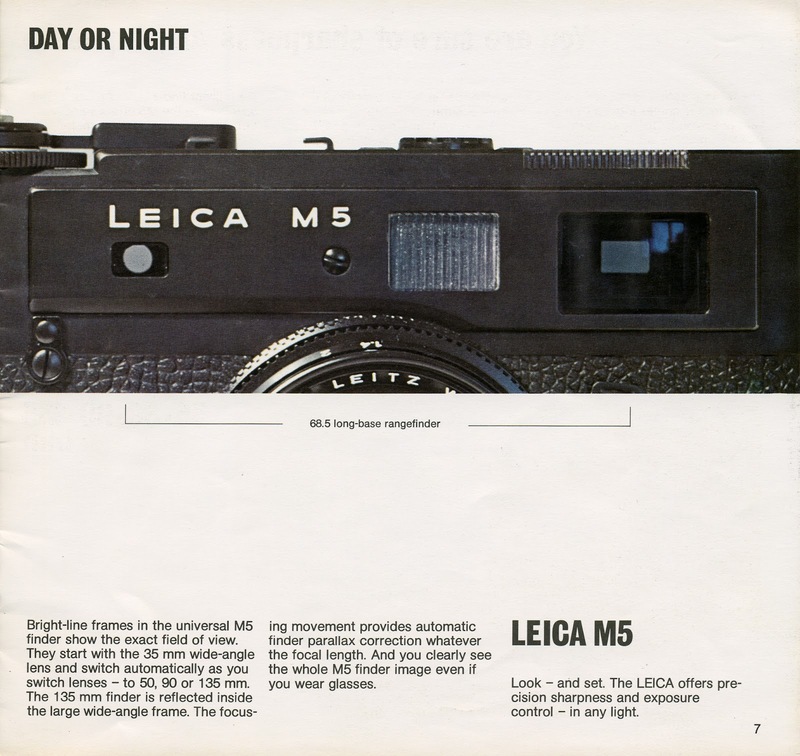 It would be another eight years before light metering came to the M with the introduction of the M6. 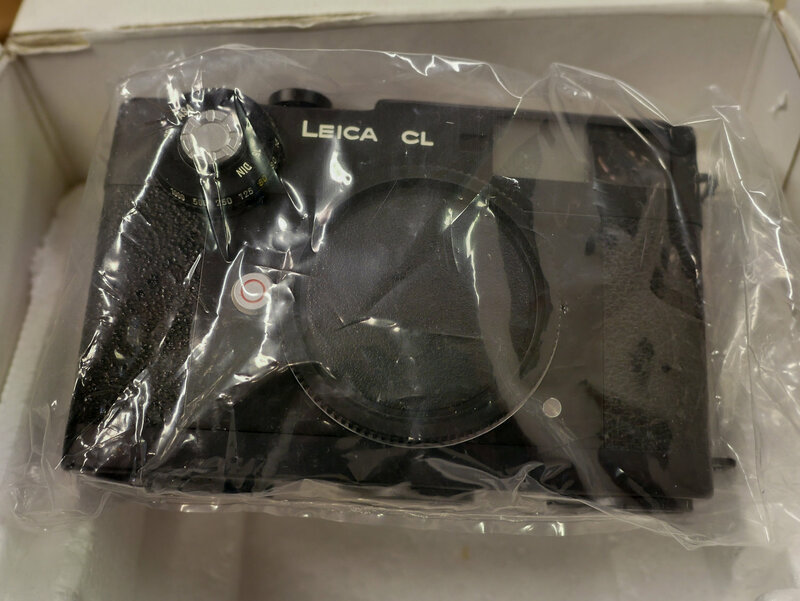 Designed jointly by Leica and Minolta and manufactured by Minolta in Japan, the Leica CL is often considered a “mutant” camera, even sometimes being labelled as “not an actual Leica” by Leica purists. But the truth is that this unconventional pairing of manufacturers has been a primary reason for the camera developing a close group of admirers. 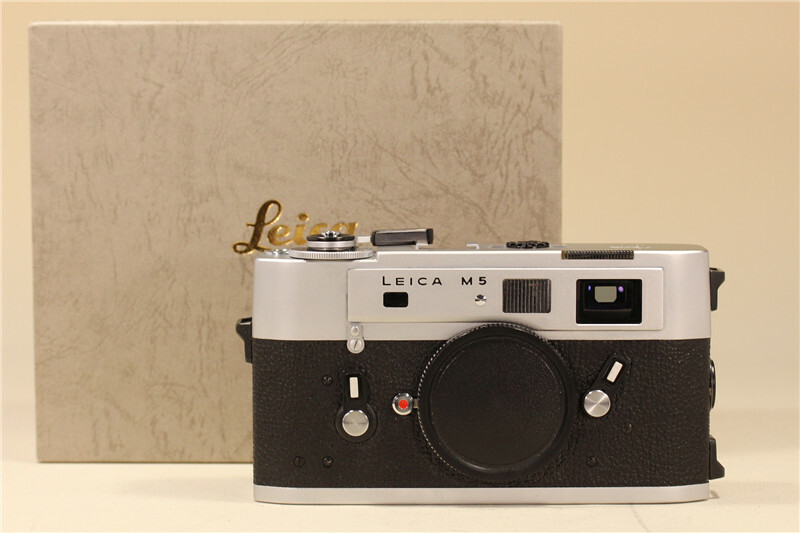 The Leica CL is a 35 mm compact rangefinder camera with interchangeable lenses in the Leica M-mount. 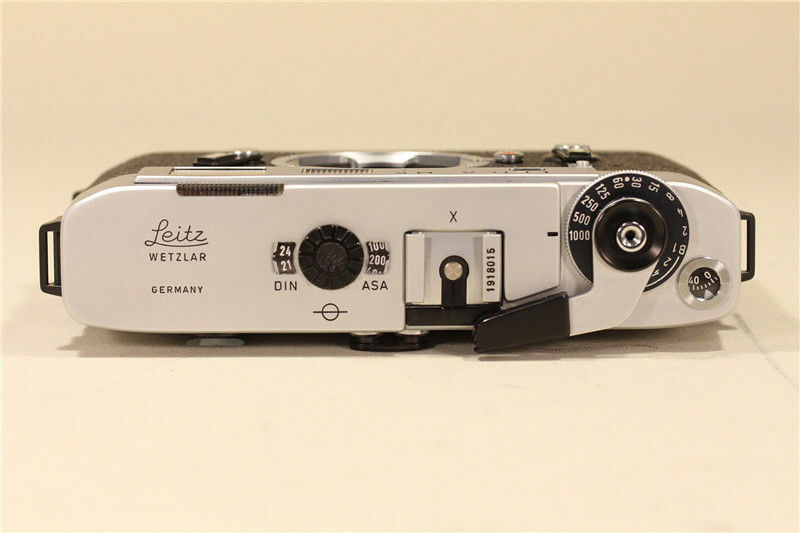 It first appeared in April 1973 and was released in the Japanese market in November 1973 as the Leitz Minolta CL. 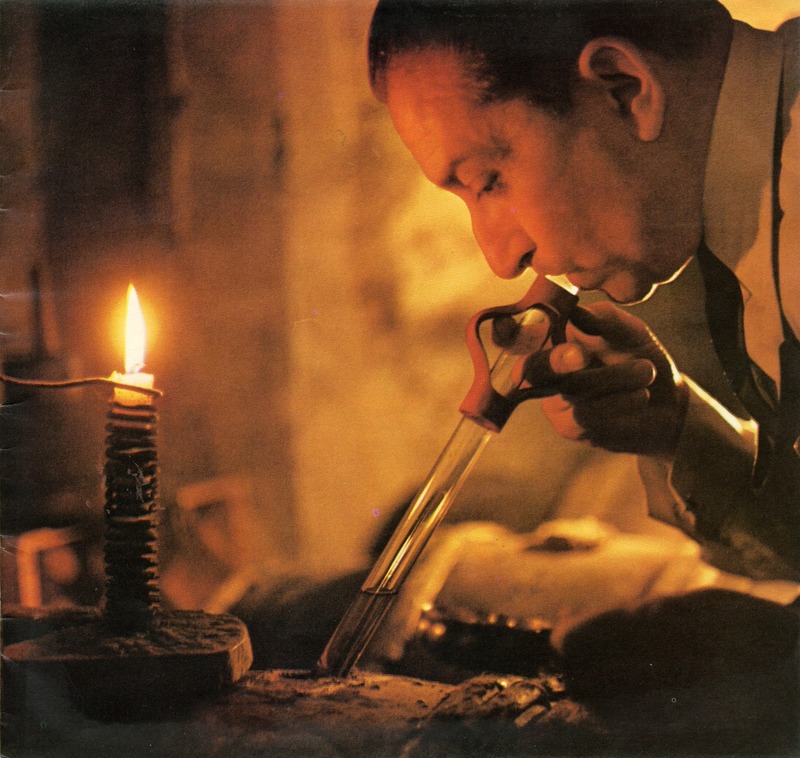 Both the Leica CL and Leitz Minolta CL were manufactured in a new Minolta factory in Osaka. 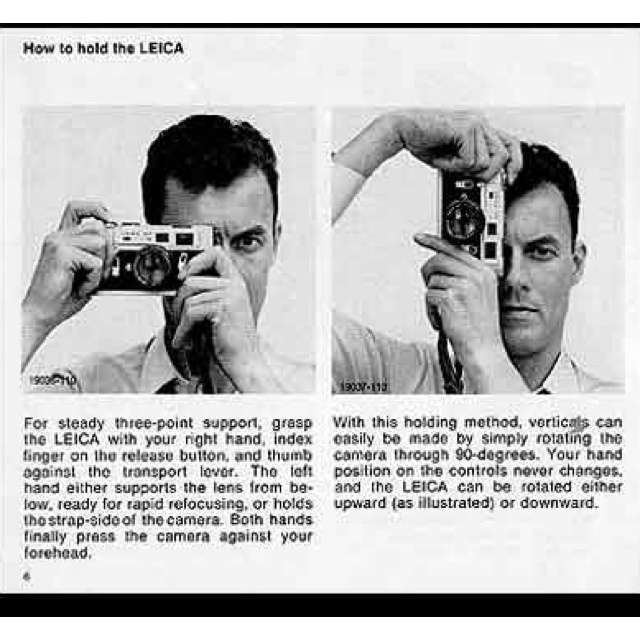 The Leica CL has a vertical-running focal-plane shutter, with cloth curtains, giving ½ to 1/1000 speeds. 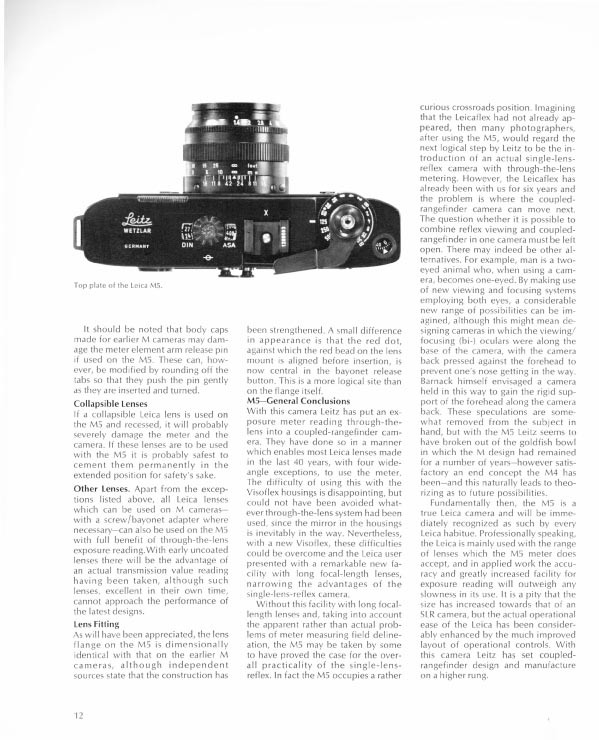 There is a through-the-lens CdS exposure meter mounted on a pivoting arm just in front of the shutter, similar to that on the Leica M5. The exposure is manual and is set using a needle system. 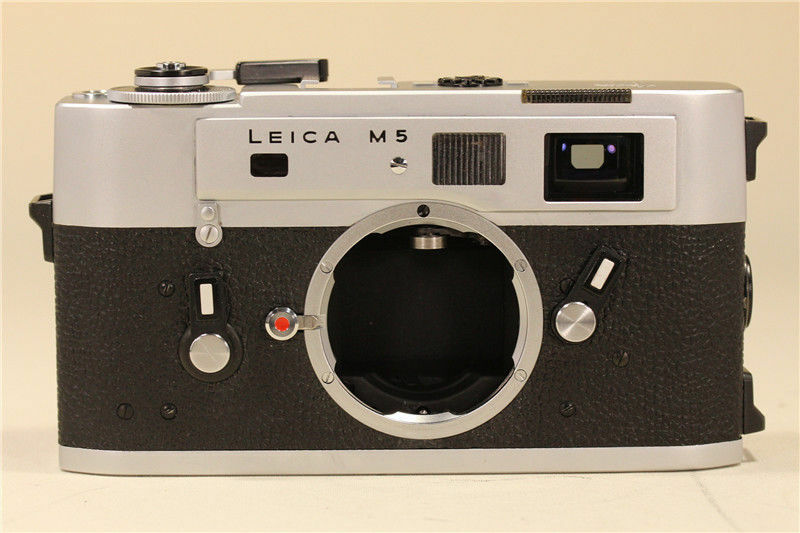 The shutter is mechanical, but the shutter speed set is visible in the viewfinder just like the M5. The camera can still be used without any battery. 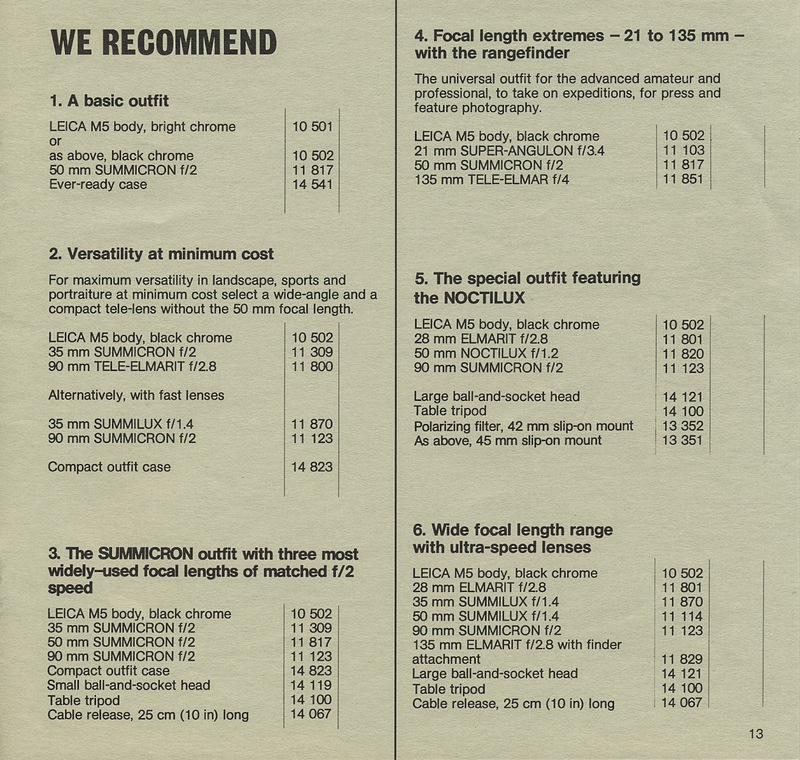 There were two special C lenses produced for the camera, a 40mm f/2 and a 90mm f/4, both made in Germany. 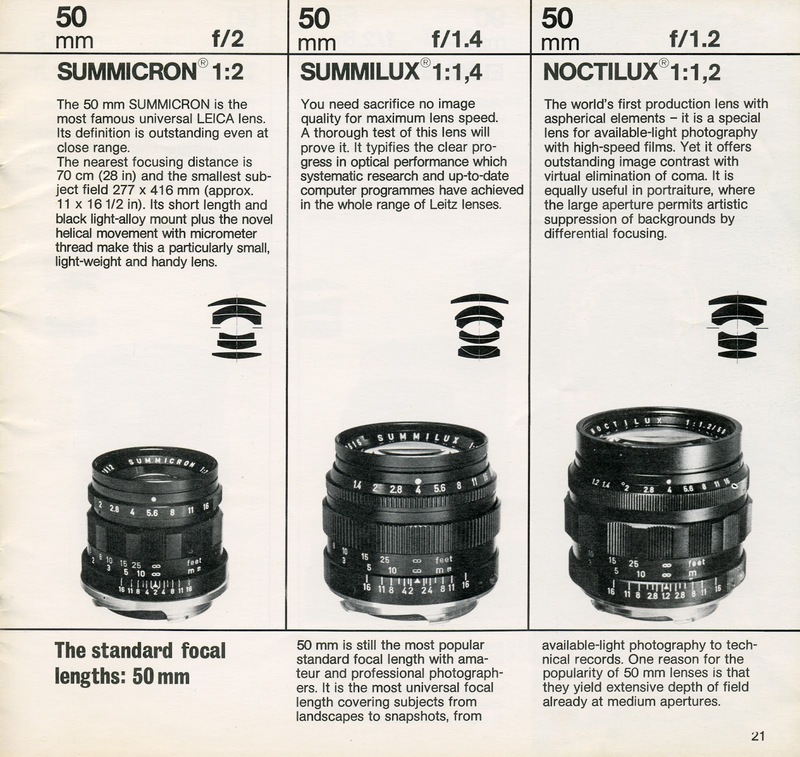 The finder’s framelines are for a 40mm, 50mm or 90mm lens. 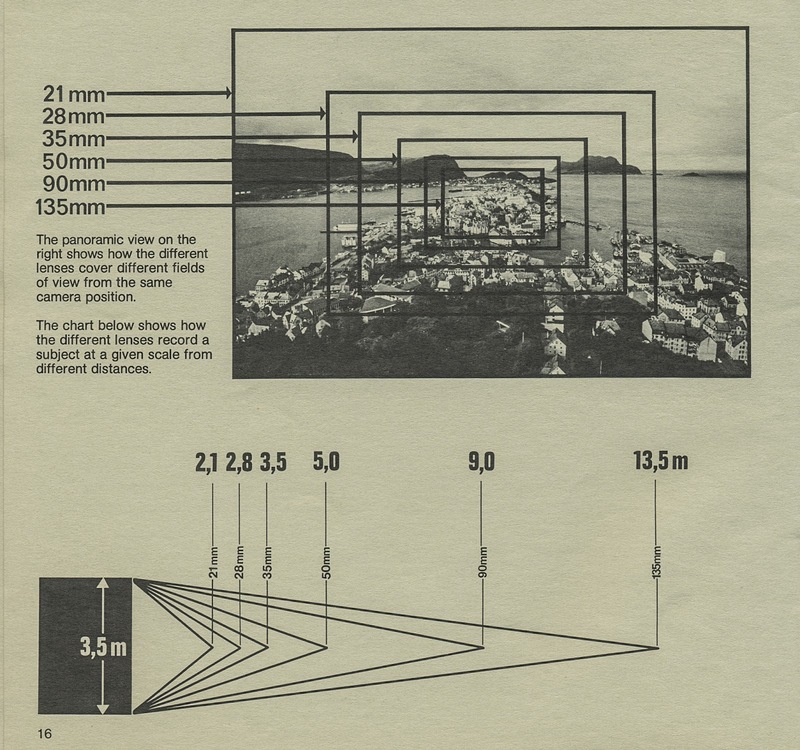 The 40mm and 50mm framelines appear when a 40mm or 50mm lens is mounted and the 40mm and 90mm framelines appear when the 90mm lens is mounted. 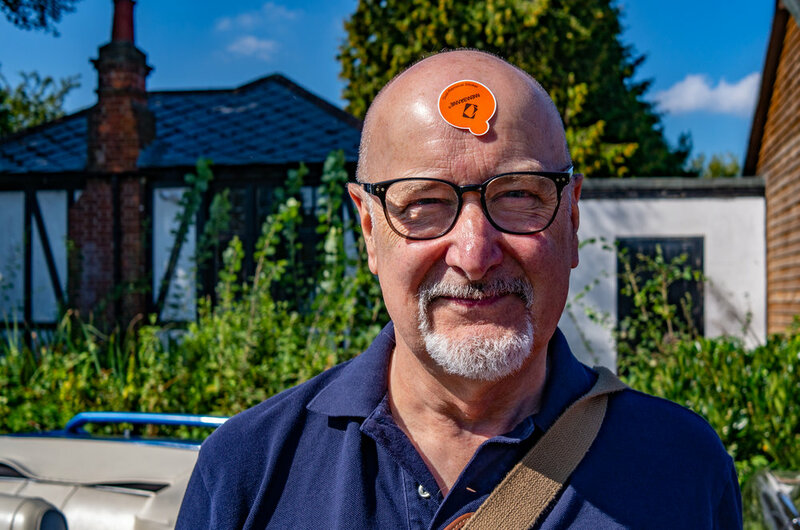 The original CL is a superbly compact and relatively cheap camera on which to use M-mount lenses, but it does not have a rangefinder as precise as that of any Leica M body. 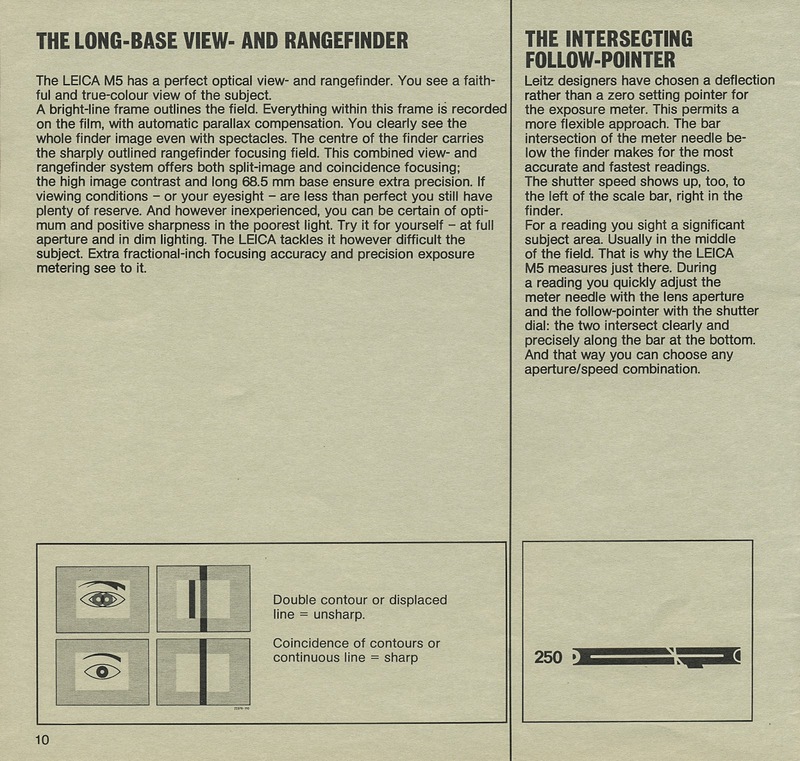 The rangefinder base of the CL is 31.5mm and the viewfinder magnification is 0.60, leading to a small effective rangefinder base of 18.9mm. This is probably too short for accurate focusing with lenses longer than 90mm and fast lenses used at full aperture. 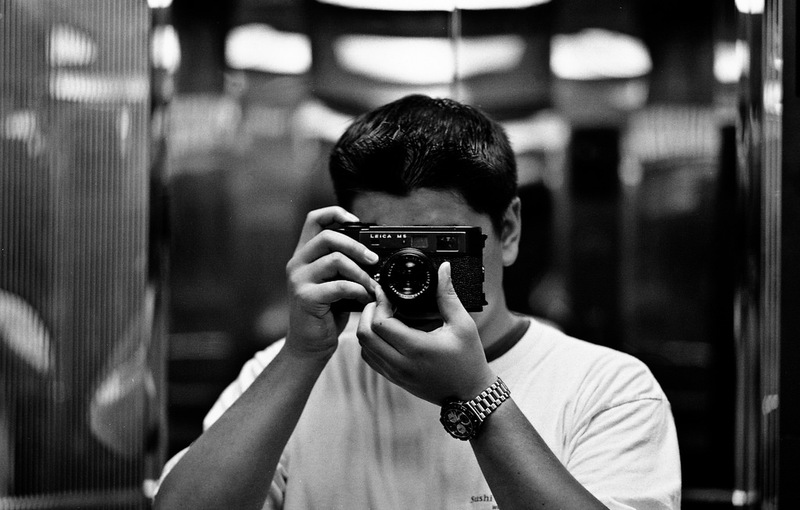 Some users report the camera is rather fragile, especially the rangefinder alignment and meter mechanism. 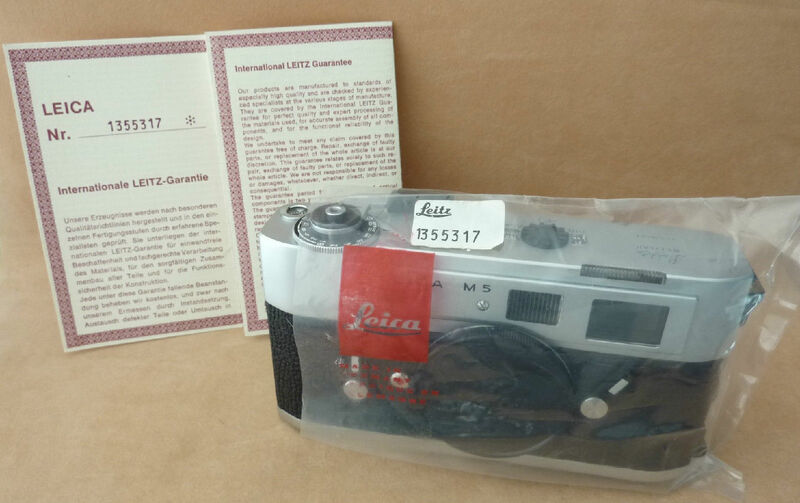 Sixty-five thousand serial numbers were allotted to the Leica CL, and this number does not include the Leitz Minolta CL. 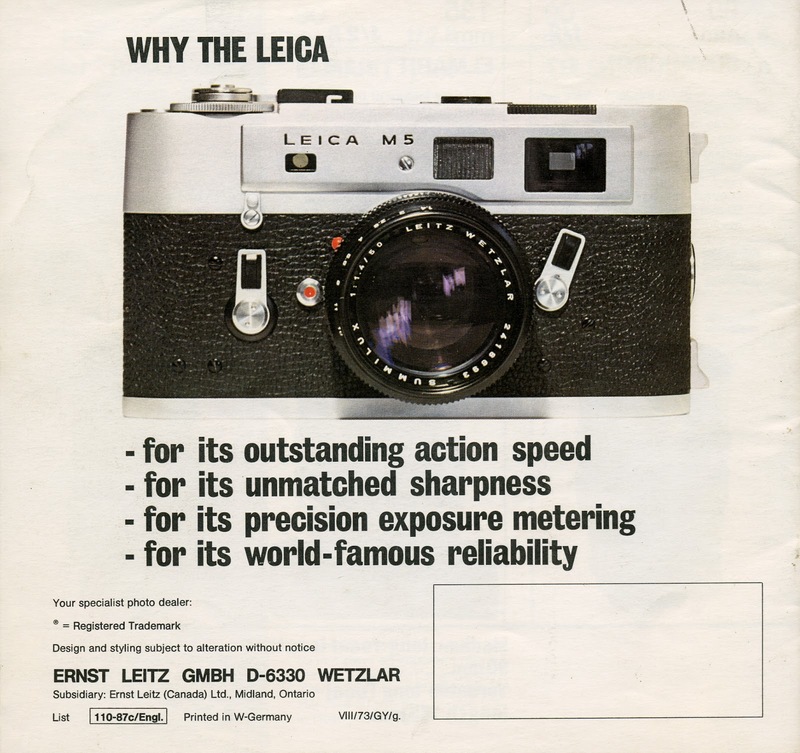 3,500 examples of the CL received a special “50 Jahre” marking in 1975, for Leica’s 50th anniversary.It is also said that 50 demonstration examples were made. They are completely operational, with the top plate cut away to show the internal mechanism. Here is an example of the 50th anniversary model from William’s collection with the 40mm and 90mm lenses, a special leather purse to contain the camera plus 40mm lens and a thin haze filter which fits between the rubber lens hood and the front element on both lenses. 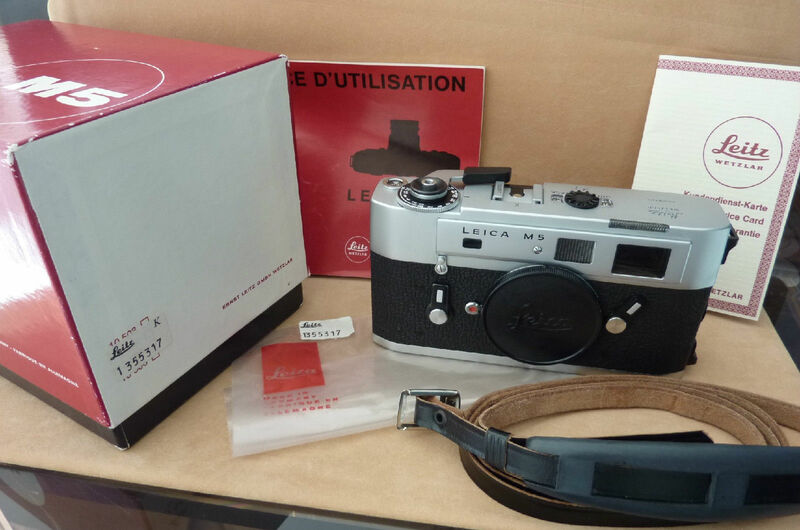 The Leica M5 is a 35 mm camera by Leica Camera AG, introduced in 1971. 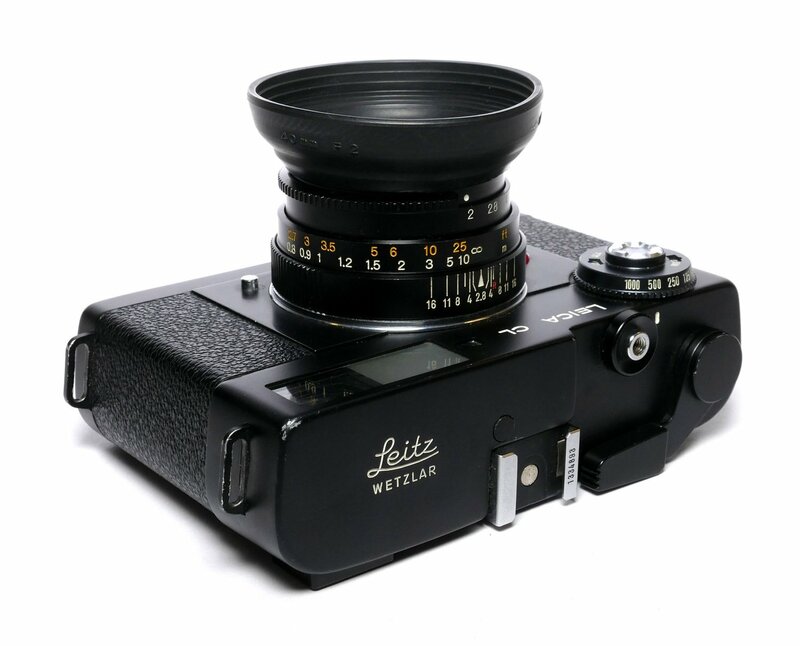 It was the first Leica rangefinder camera to feature through-the-lens (TTL) metering and the last to be made entirely in Wetzlar by hand using the traditional “adjust and fit” method. 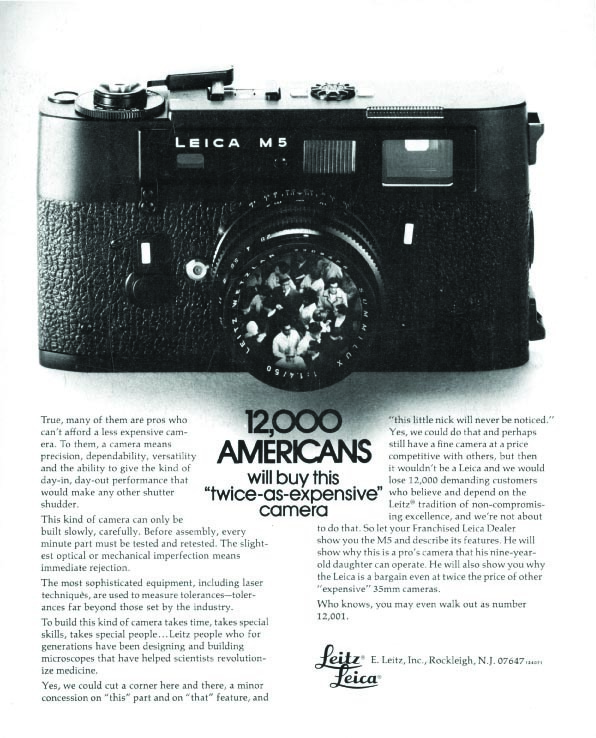 Leica M5 sales were very disappointing, and production was halted in 1975 after 33,900 units (from 1287001 to last serial number 1384000; 10750 chrome and 23150 black chrome bodies). Cost was an issue for the M5 body. In today’s currency (Consumer Price Index Integer) the price is around $4200. Rangefinder camera sales were seriously undermined during this period by the predominance of mass-produced SLRs, primarily from Japan. 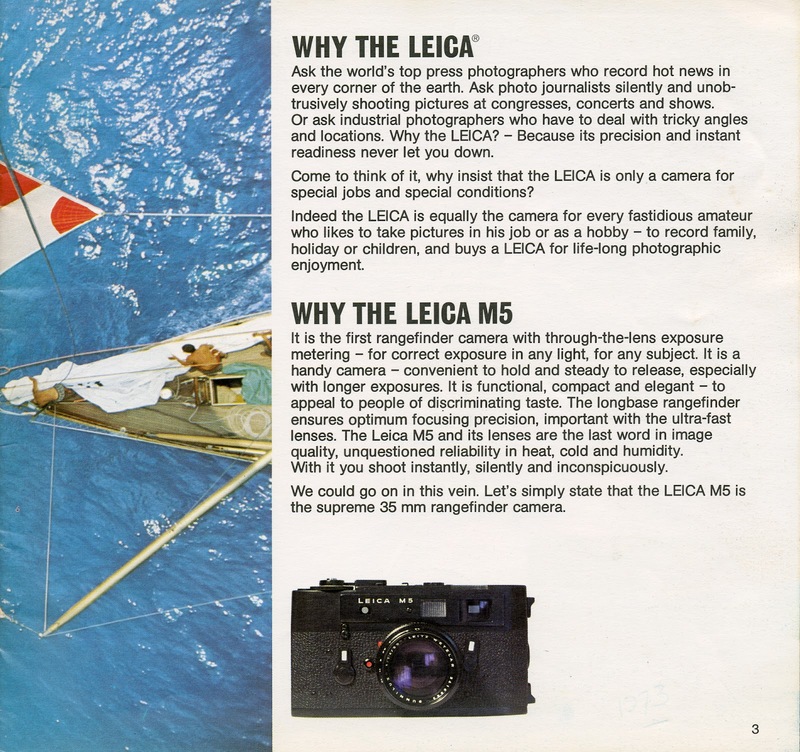 In addition, Leica continued selling the M4 in 1974 and 1975, and the Leica CL was fully represented in the market by 1973. 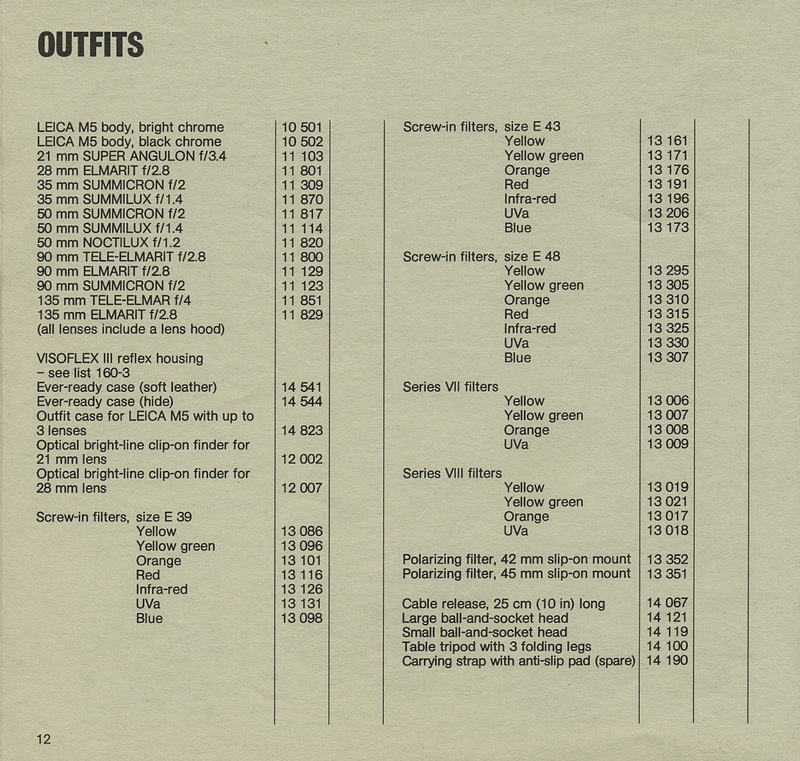 The UK Leica catalogue for 1975 lists the M4 and M5 and the CL. Often cited as also contributing to the poor sales are the larger size and weight, the departure from the classical M design, the impossibility of attaching a motor winder, as well as the incompatibility with certain deep-seated wide angle lenses and collapsible lenses (i.e. 28 mm Elmarit below serial number 2 314 920) – see furher details below.The larger body dimensions also prevent the use of many M series accessories, such as external hand grips, quick release plates for tripod heads, or the Leica Lens Carrier M. The M5 is actually wider than the Nikon F, the camera that started the slide in the fortunes of Leica. 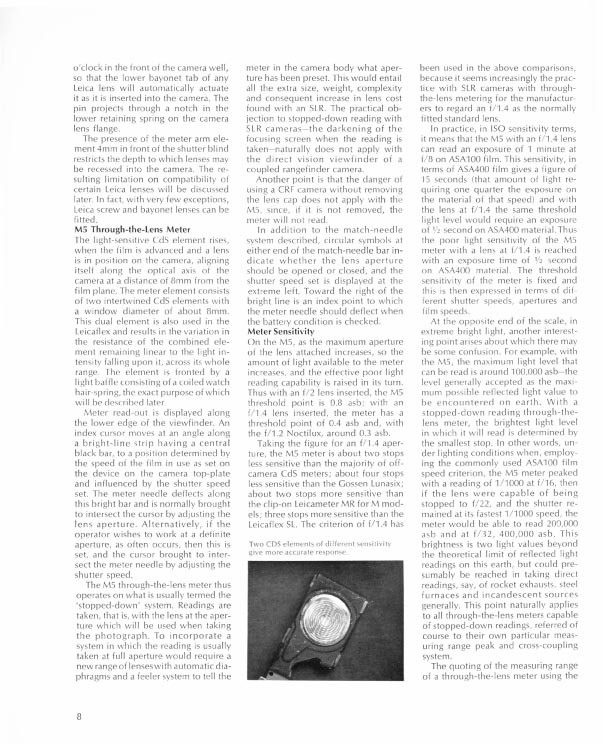 There is an interesting story beyond the scope of this article about how the Leica company ignored the warnings about the threat from SLRs from its own engineers and then delayed the introduction of the Leicaflex until it was too late to recover. The M5 represents a failed attempt to make up lost ground. 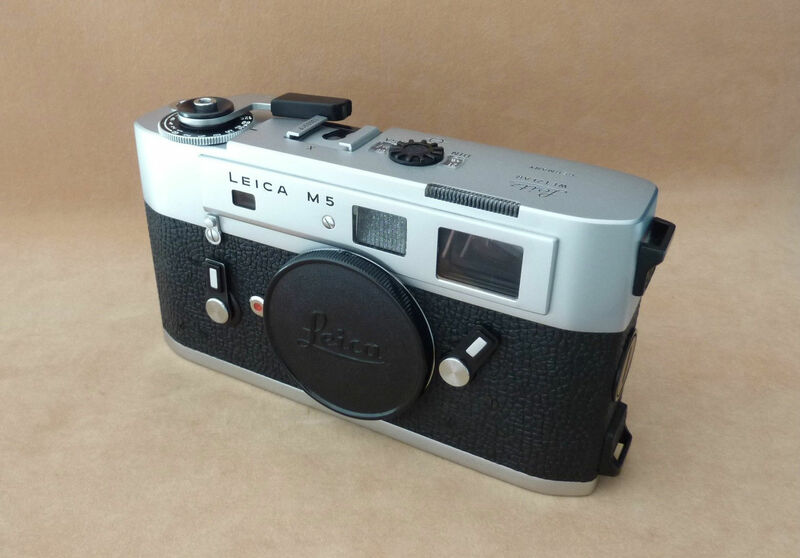 Leica reverted to the M4 and its M4-2 (often called ‘the camera that saved Leica’) and M4-P developments, until the coming of the Leica M6, which offered built-in metering, albeit through the use of more electronic circuitry, while retaining the classic M design. Here is a size comparison photo of some items from William’s collection, including a CL with 40mm f/2 Summicron and the M5 with a chrome 50mm f/2 Summicron and the M4-2 with a black 50mm f/2 Summicron. 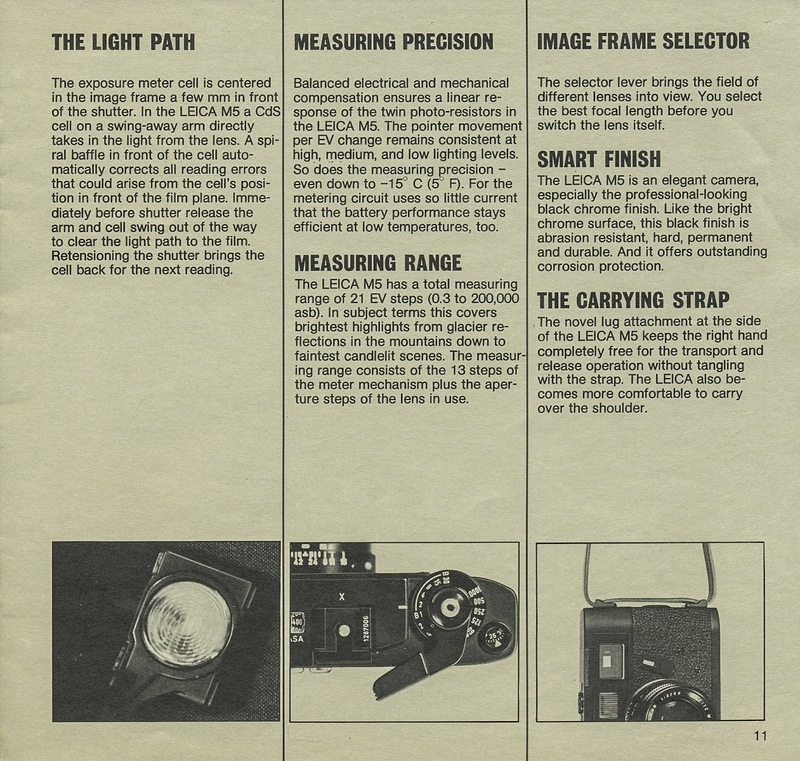 For proper comparison the M4-2 is wearing an MR light meter as the other two cameras have built-in metering. 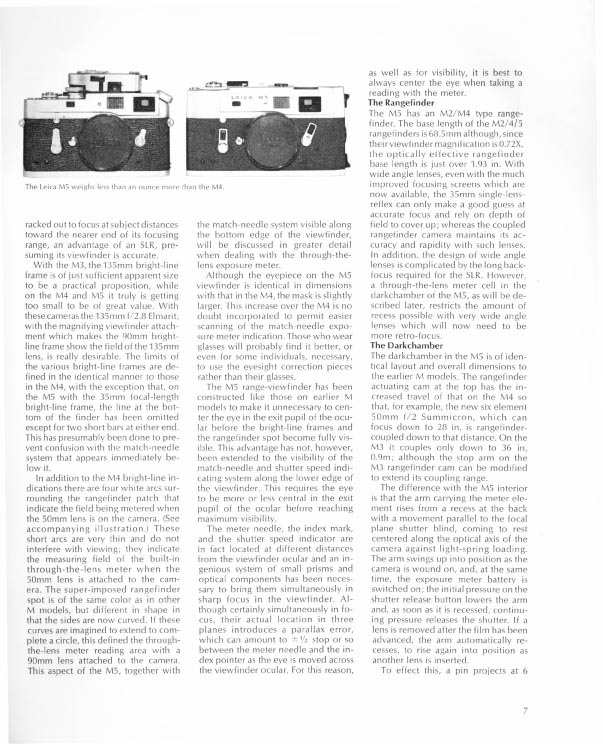 The M4-2 can be used with the M4-2 winder, which William has, but he decided not to mount it as neither of the other two cameras can be used with winders. The CL and the M5 were designed to be used with PX 625 1.35 volt mercury oxide batteries, which were subsequently banned. They can be used today with Wein Cells or be modified to take modern PX 625 A 1.5 volt alkaline batteries. 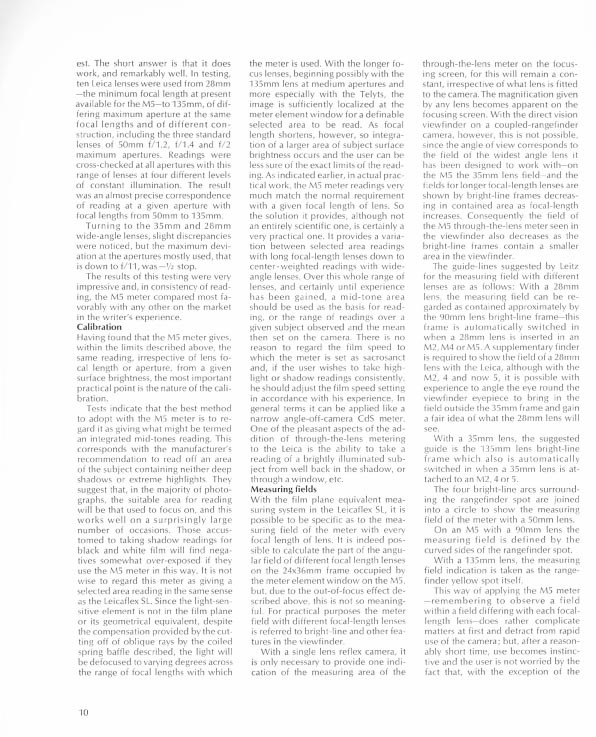 Williams article here deals with these issues in the context of an M5. The M5 is now a relatively uncommon type, and their price on the second-hand market is comparable to that of the M6. M5s were discovered by Japanese collectors in the late 1990s and their price experienced a sharp rise at that time. 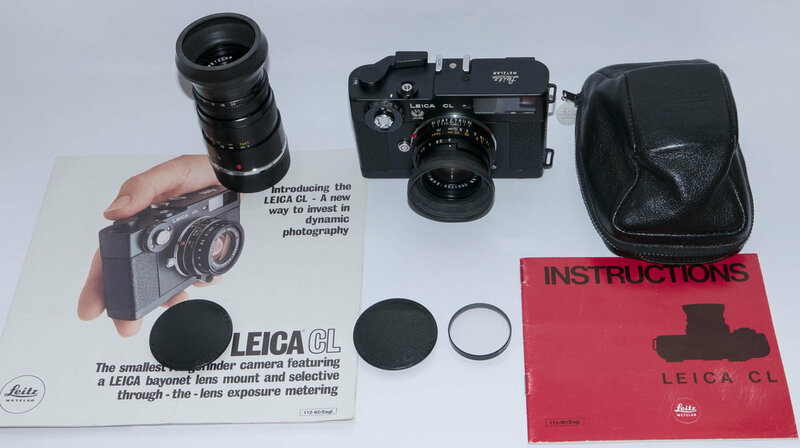 The lenses specially designed for the Leica CL can physically mount on a Leica M body, but Leica recommended not doing so because it would not give the best focusing precision, allegedly because the coupling cam of the C and M lenses is not the same. 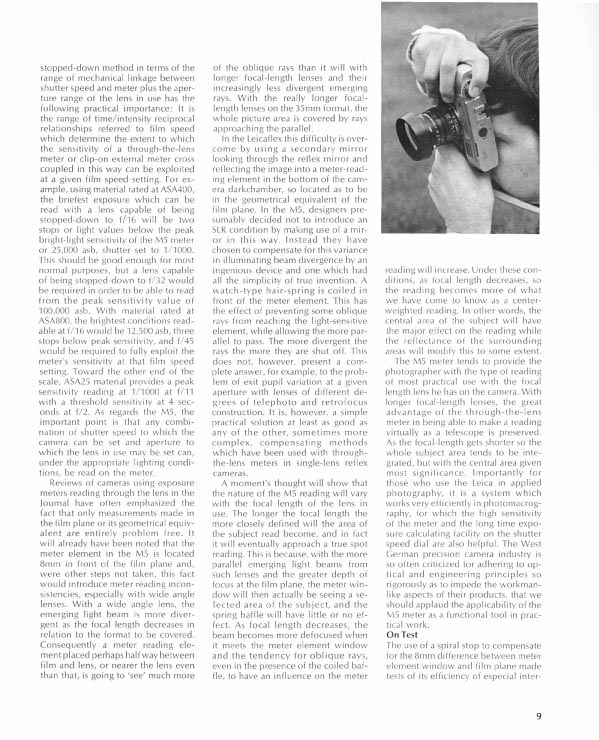 However, some people say that it is unimportant and that they can be used perfectly well on an M. Indeed in Williams experience he finds that the 90mm C lens is one of the most accurate 90mm lenses on an M.
When sold with a Leitz Minolta CL, the lenses were called Minolta M-Rokkor 40mm f/2 (later just Minolta M-Rokkor 40mm f/2) (see picture at top) and Minolta M-Rokkor 90mm f/4. 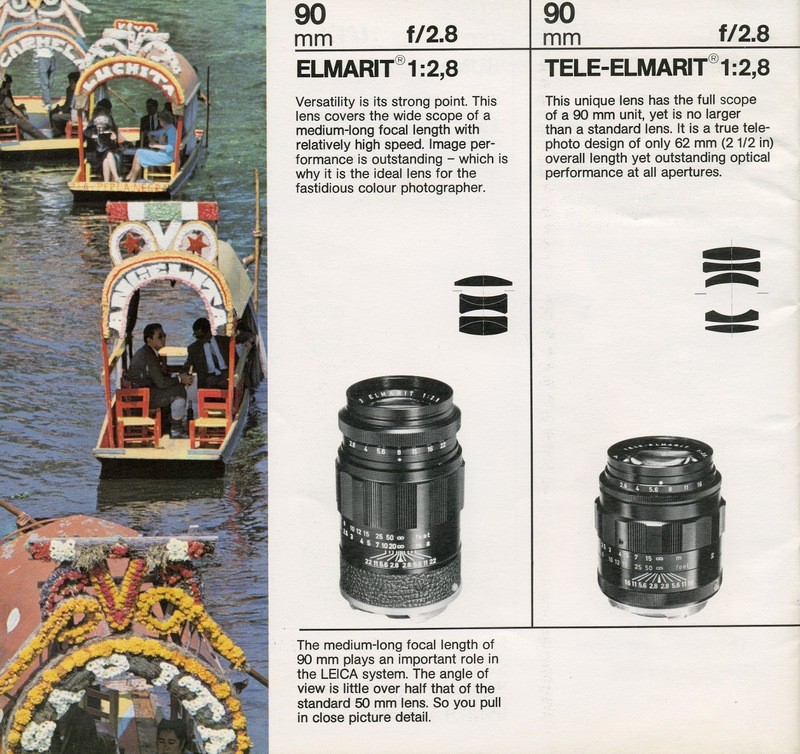 It is said that the 40mm was made in Japan by Minolta while the 90mm was made by Leitz and is rare. 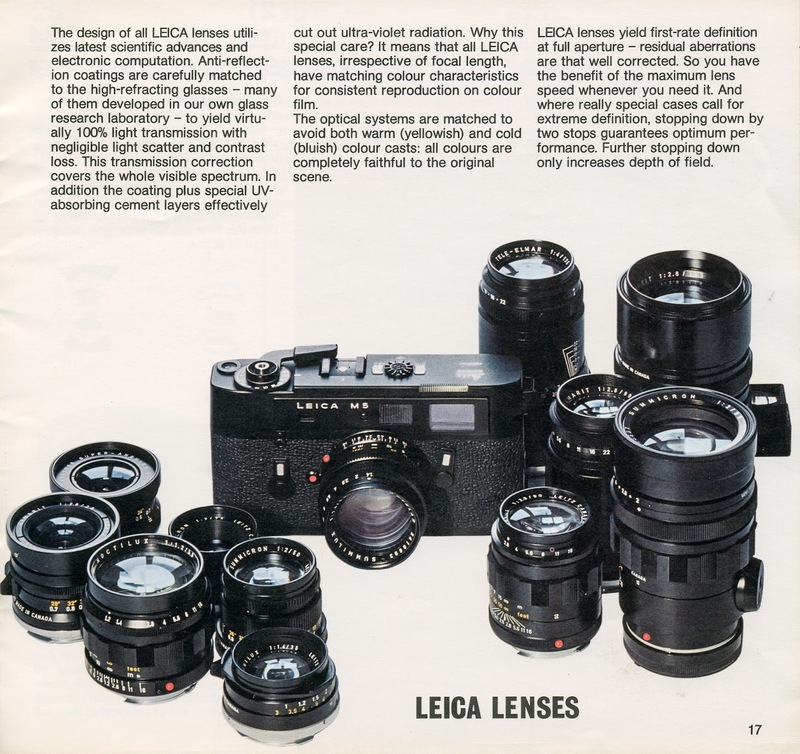 With the later Minolta CLE, Minolta would produce lenses of the same name but with a different coupling system, the same as the Leica M lenses. 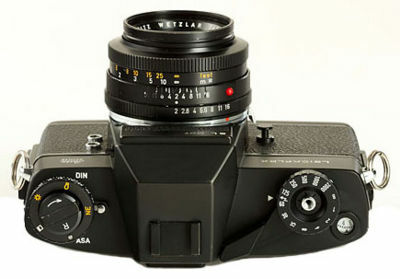 A new Minolta M-Rokkor 28mm f/2.8 lens was introduced as well. All these lenses can be mounted on the CL too. Rokkor-branded lenses for the CL and CLE take the more easily found 40.5mm filter size. 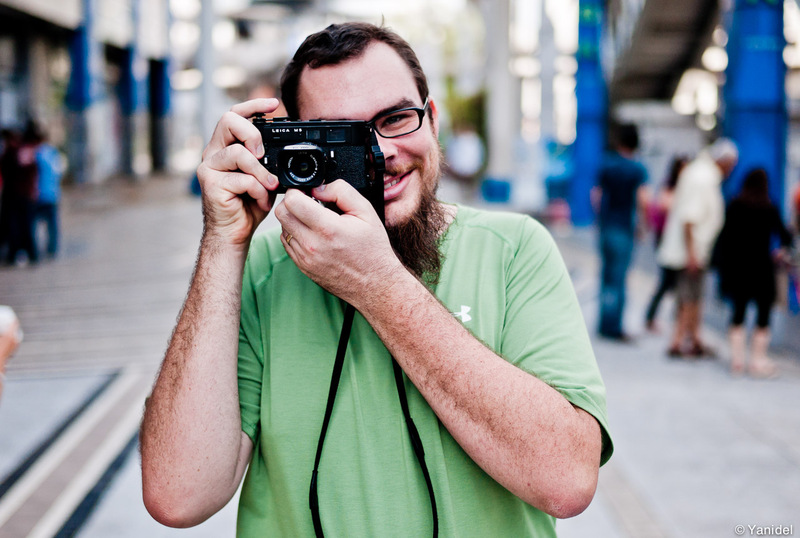 The CL can take nearly all the Leica M lenses. Exceptions are some lenses that protrude deep into the body and could hurt the meter arm, which resembles a swinging lollipop. 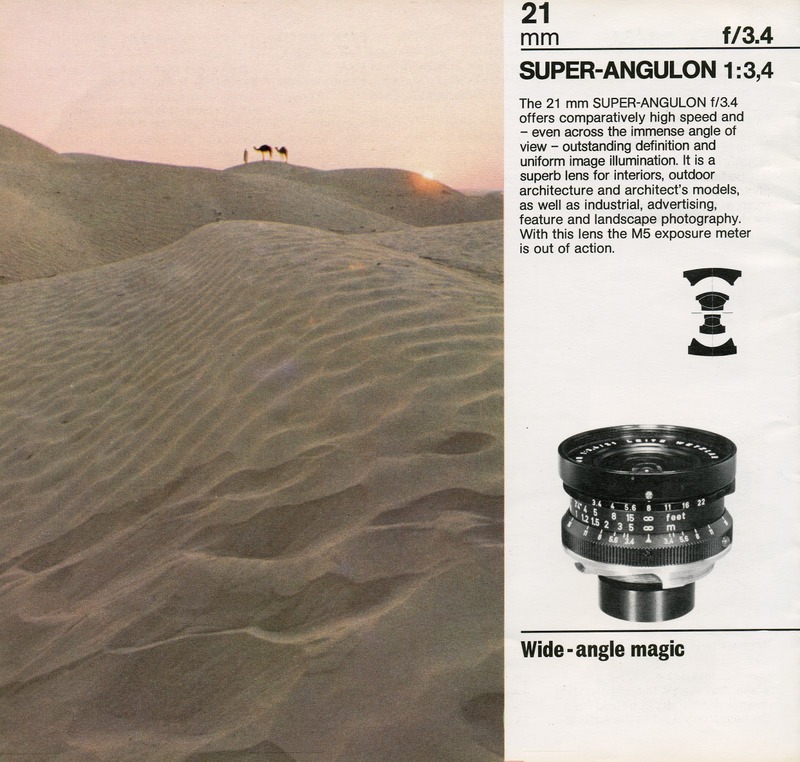 Such lenses include hese include: 15mm/8 Hologon, 21mm/4 Super Angulon, 28mm/2.8 Elmarits before serial number 2314921. 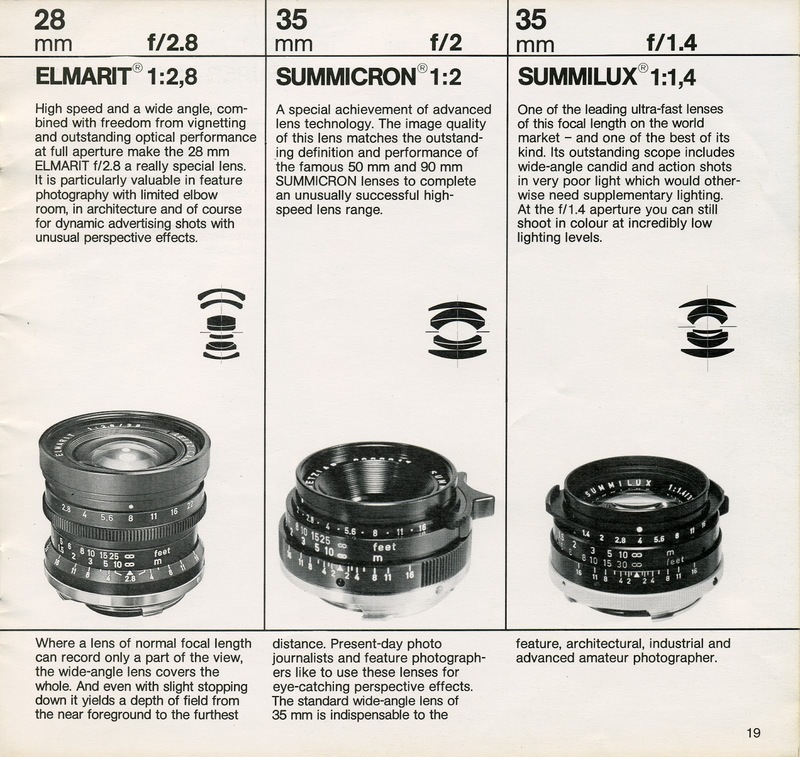 The eyed lenses, including the M3 wide-angle lenses, the 135mm/2.8 Elmarit, and the 50mm/2 Dual Range Summicron, cannot be mounted either because they are incompatible with the body shape. 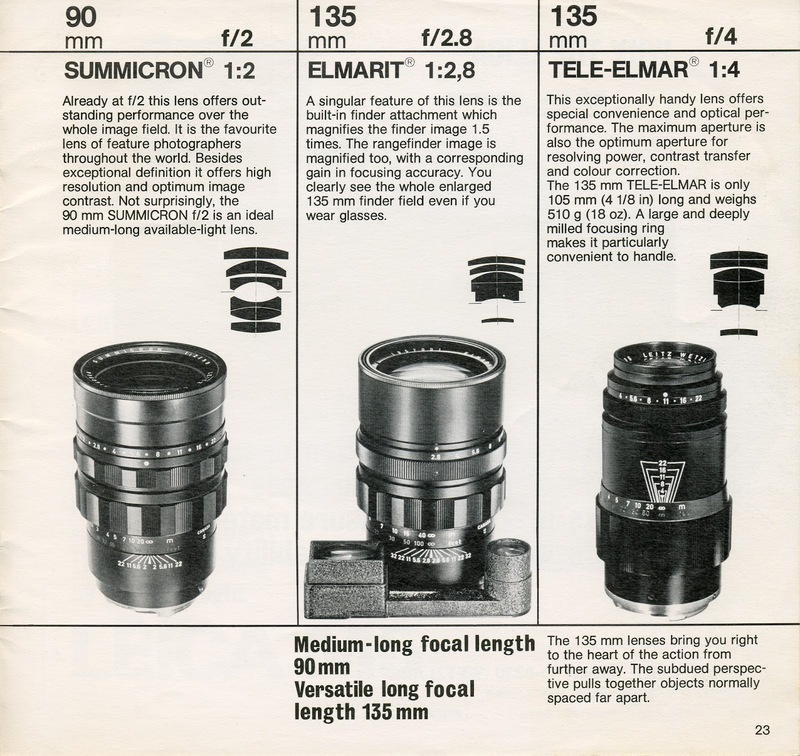 The 90mm/2 Summicron and 135mm/4 Tele-Elmar are incompatible too. 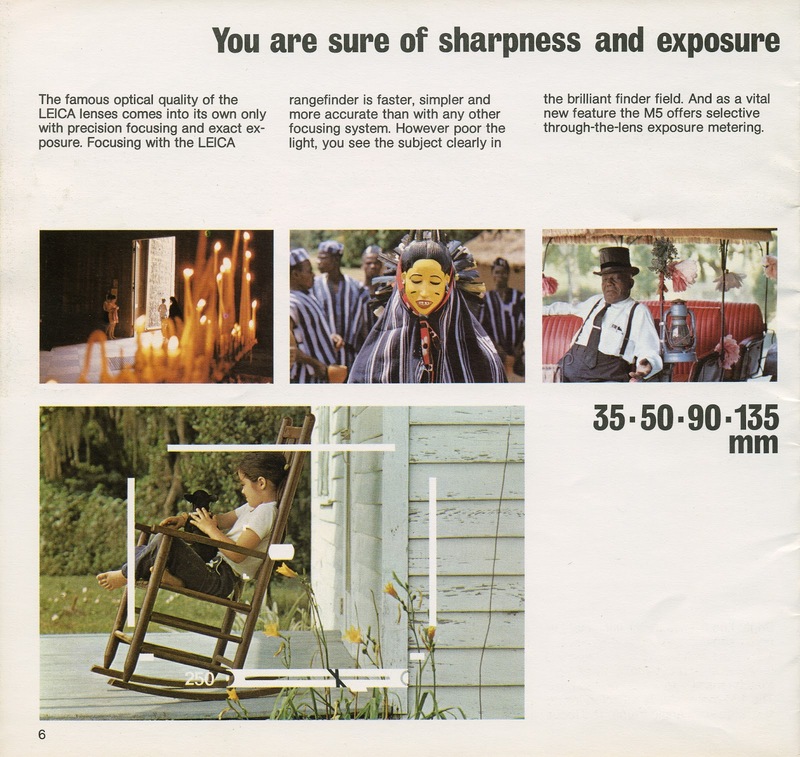 The collapsible lenses can be mounted but they must not be fully collapsed to avoid contact with the meter on a ‘swinging lollipop’ and Leitz advised to stick an adhesive strip of adequate width to the barrel, to limit the collapsing movement. Another limitation is that the rangefinder is only coupled until 0.8m. The same issues also apply to the M5, which also has its meter on a similar swinging arm, visible here. William had to put an adaptor on this M5 in order to persuade it to show its ‘lollipop’. 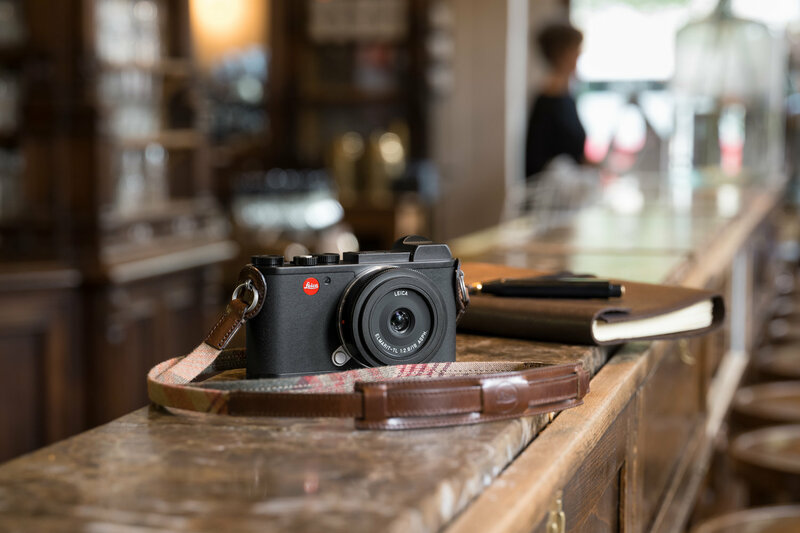 The CL was consigned to history and, eventually, Leica got itself back on track with the M6, the M7 and, latterly, with a blossoming range of digital Ms. 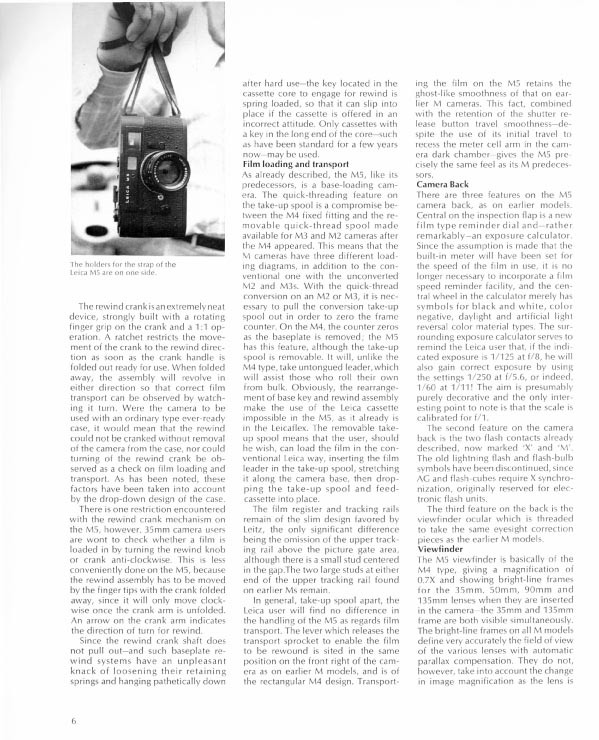 The CL, as a film camera of course, was potentially just as capable as the M4 and M5. They were all, as we say these days, full frame. 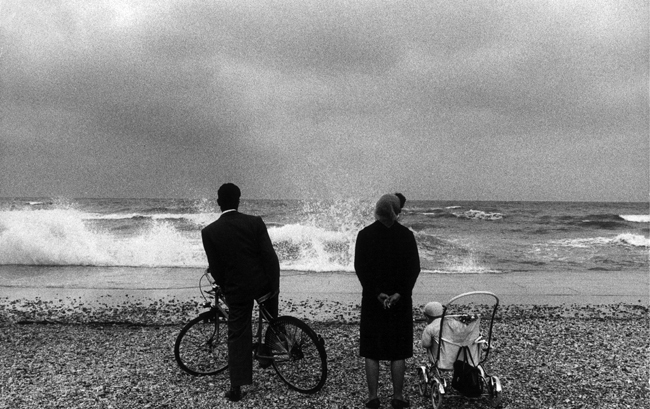 In those days full frame meant ‘not half frame’. 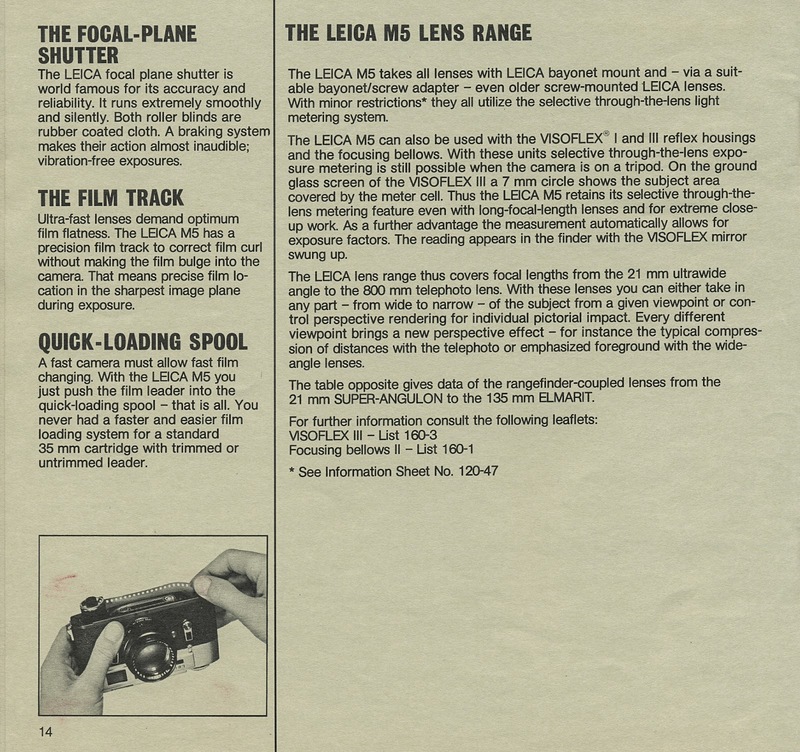 It is interesting also that, whereas in the 1970s Leica was trying to make up ground on cameras with flapping mirrors, these days Leica seems to have left flapping mirrors behind with its move to EVF’s. 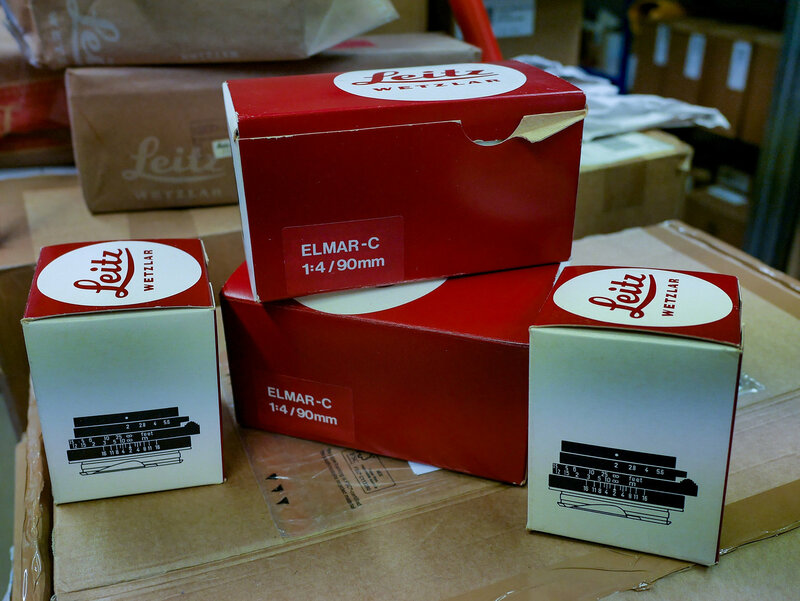 A whole new era of Compact Leica (CL) photography has commenced with the launch of the new CL with EVF last autumn. 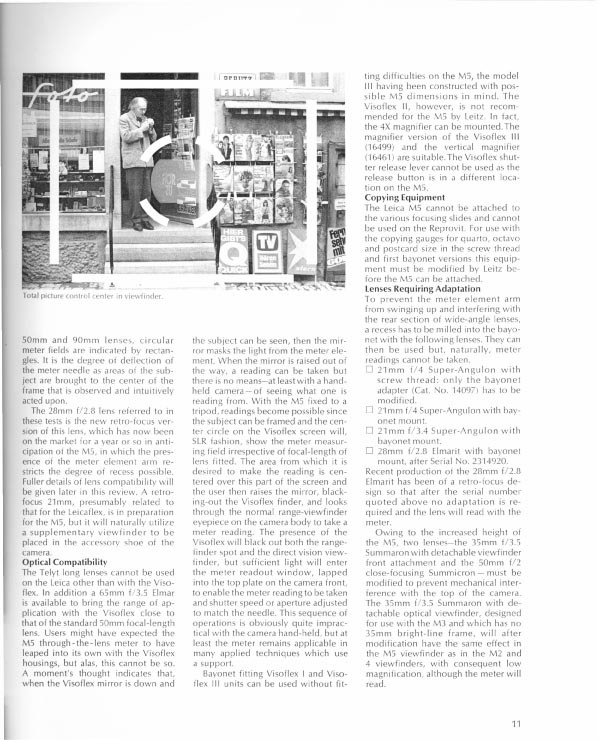 This entry was posted in Leica CL, Leica M5 and tagged Leica Cl, Leica M5, Mike Evans, William Fagan on September 5, 2018 by Leicaphila. Currently for sale on Ebay from a seller in France, what looks to be an unused, pristine chrome two-lug M5, #13553167. The serial number puts its production date as 12/1972, which is smack dab in the middle of the M5’s production run but late enough to avoid the shutter issues that beset the earlier models. Seller claims everything works properly. What would I pay for it? God only knows. I wouldn’t be interested in it as a collectible but as a user, so the box and all the supporting stuff would be irrelevant to me except insofar as it confirms the claim that the camera hasn’t been used much, but, of course, this potentially cuts both ways – lack of use for the last 45 years might leave you with a camera in need of service, and the one downside of M5 ownership is that M5 specific service isn’t cheap, usually double what you’d pay for a traditional M.
In any event, in my opinion, a good working M5 is about as good as you’ll get in a Leica M, and the chrome versions are the aesthetically more pleasing. Granted, not everyone agrees with me. Some Leicaphiles loathe the M5, which is their right. It’s my observation that the folks who hold the most negative opinions about the M5 are those who’ve never used one. This entry was posted in Collectible Leicas, Leica M5, Uncategorized and tagged Leica M5 on November 28, 2016 by Leicaphila. 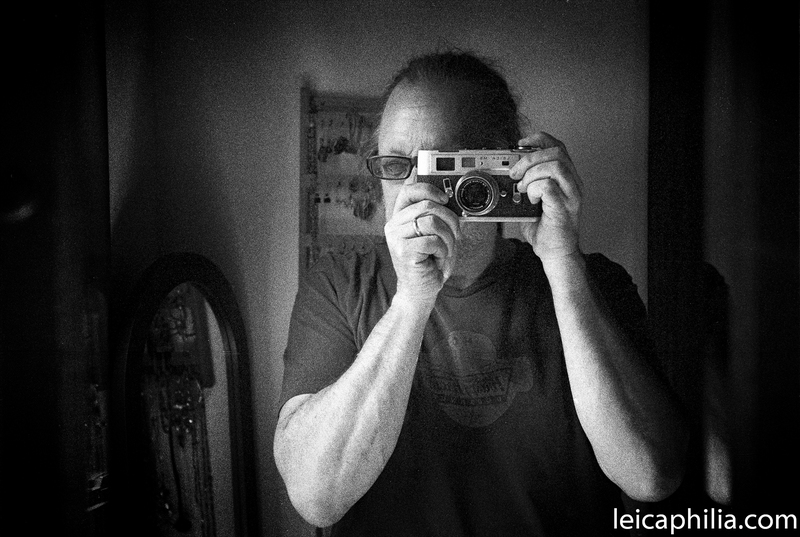 This entry was posted in Cameras and tagged Leica M5 on August 17, 2013 by Leicaphila.